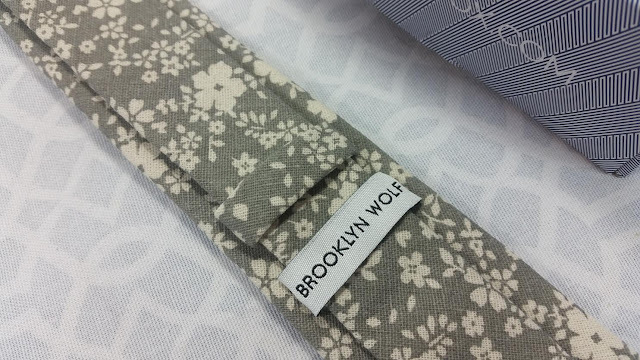 Brooklyn Wolf Necktie- This tie is amazing! It's a very sturdy linen that feels good to the touch. The floral pattern is perfect, interesting without being too girly. I think the fabric makes it. Walker has already picked out two dress shirts to wear it with. 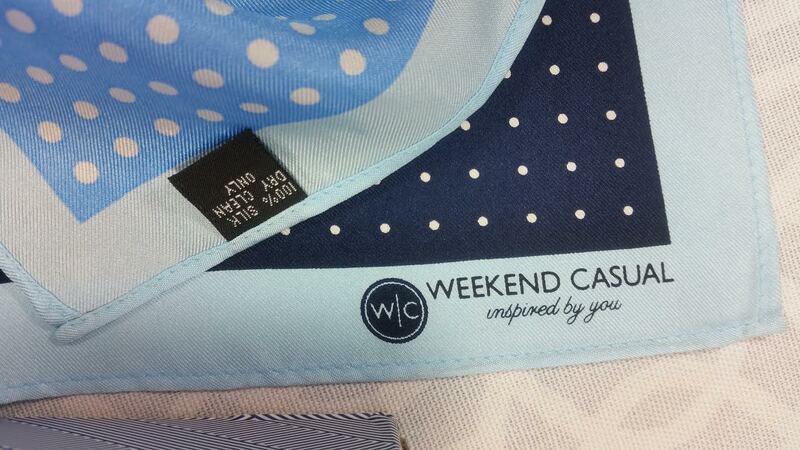 Weekend Casual Pocket Square- This is a 100% silk pocket square with four dotted color quadrants. I think the navy side will get the most use. 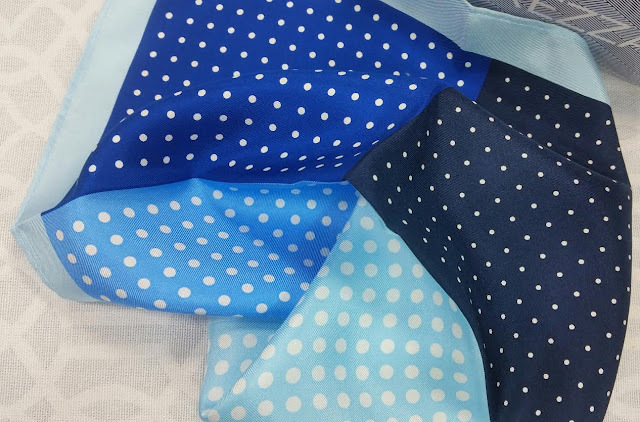 I really like the fact that it's silk, too. In my opinion it stuffs much more neatly into the pocket than cotton does. 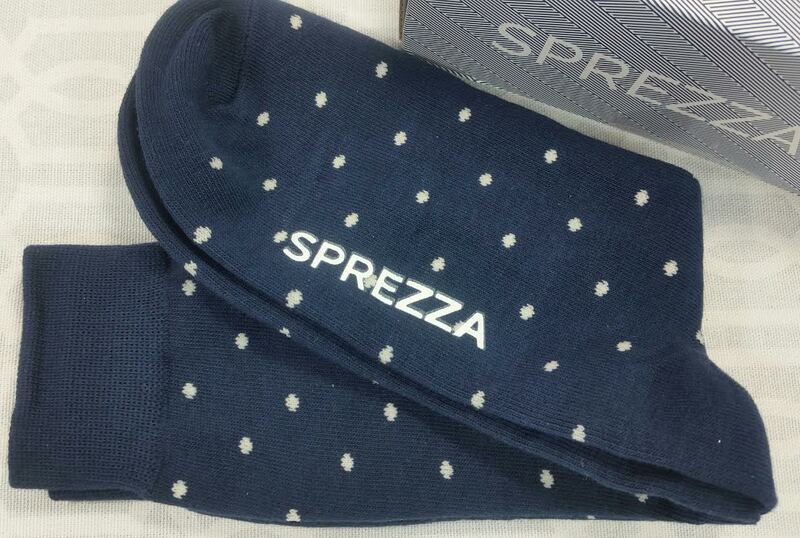 Sprezza Socks- These are going to get some good use. I don't know why but my husband loves dotted socks. Not huge dots, little dots. Just like these. Perfect! The socks are made of 80% combed cotton, 17% polyester and 3% elastane. 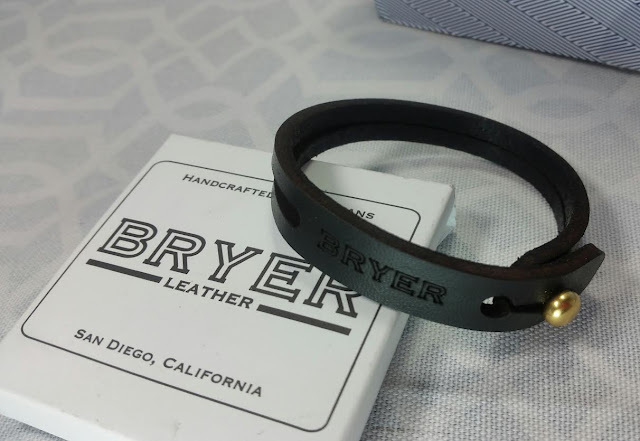 Bryer Leather Bracelet- This is handmade in the USA and I love it! It is a little too thin for Walker, he doesn't really care for it. If it was thicker, I think he'd appreciate it more. In any case, that works out for me because now I get it! I think it looks pretty cool. Classics Roller Pen- A fancy brushed metal pen. The ink is black. 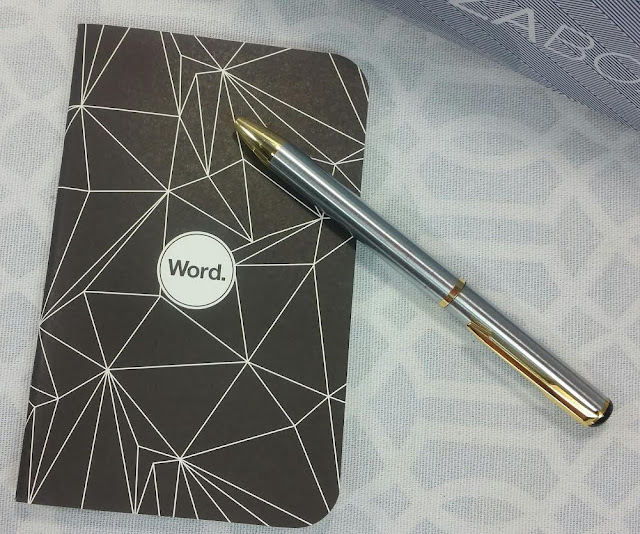 It write so smoothly that I'm keeping it for myself. Word Polygon Notebook- A 48 page, lined notebook that fits in your pocket. This is also mine. I might be a bit strange but I love notebooks. Love them! I'm a manic list maker so I need them. All. VERDICT: This was a great box! 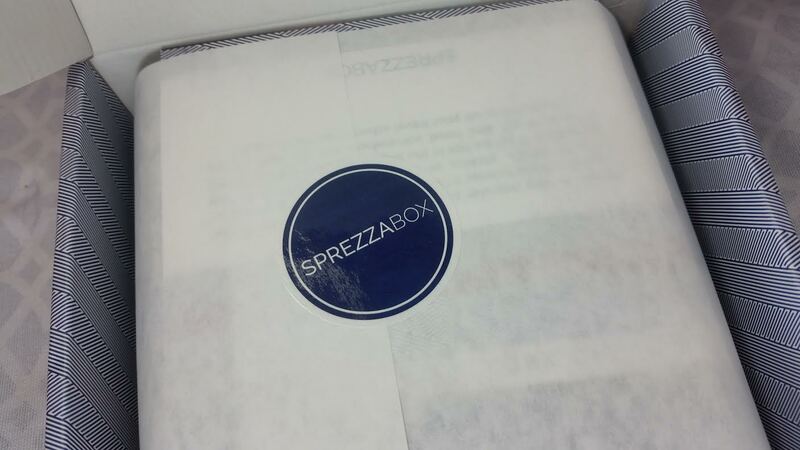 I think Sprezzabox might cater more toward my husbands sense of style than other boxes of this ilk. While some men may be too careful with their choices to be able to enjoy receiving a mystery box of personal goods, those with a sense of adventure may want to try it as an opportunity to branch out from what they normally might choose for themselves. It's actually a lot of fun doing it this way. Plus it's a great deal for what you get. 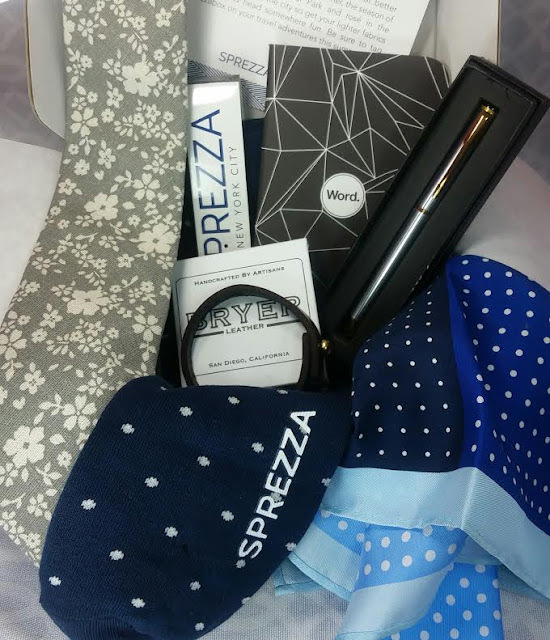 If you would like to sign up for Sprezzabox, you can do that here. Sprezzabox is currently running a promotion that has all Sprezza brand socks on sale for $5 with code SOCKSFORDAYS. That won't help you on a subscription but if you want some fun socks, there you go! 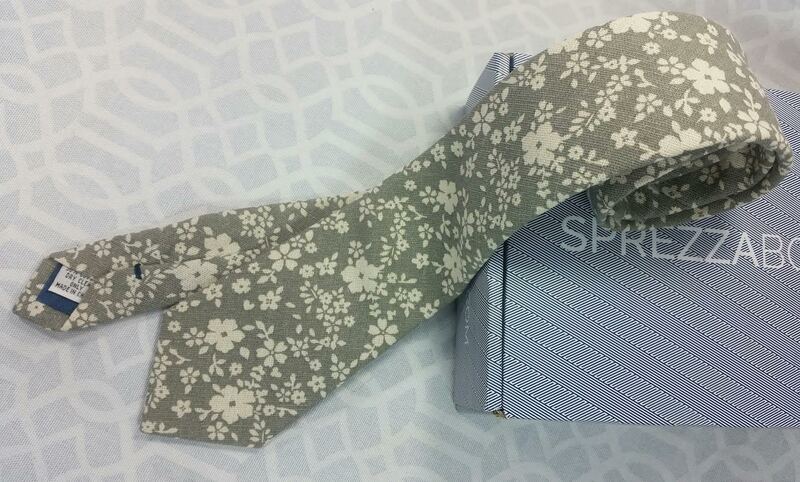 Have you subscribed to any men's accessory boxes like this? What did you think? *This box was sent complimentary for review purposes. All opinions belong to me and/or my darling husband.